Her Majesty Queen Elizabeth II is celebrating 60 years as British Sovereign in 2012. 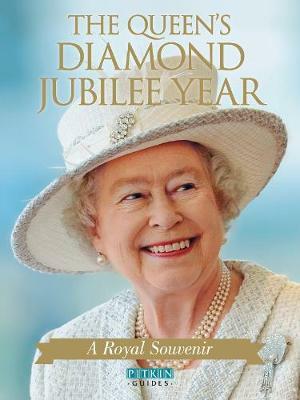 This fully up-to-date souvenir guide captures month-by-month the excitement, the majesty and the pageantry of the spectacular events that have allowed a nation to celebrate and share their admiration for their Queen in her Diamond Jubilee Year. With over 60 wonderful photographs this will be a souvenir to keep and treasure - this special edition recalls the many key moments of Jubilee year, including The Queen and Prince Philip's nationwide tour of the UK, the overseas tours by other members of the Royal Family, the spectacular pageant at Windsor Castle, and the astonishing procession of the Royal Barge and its flotilla of several hundred small craft along the River Thames. This special souvenir guide is the essential souvenir of any extraordinary year of events for The Queen and her subjects, at home and around the world.